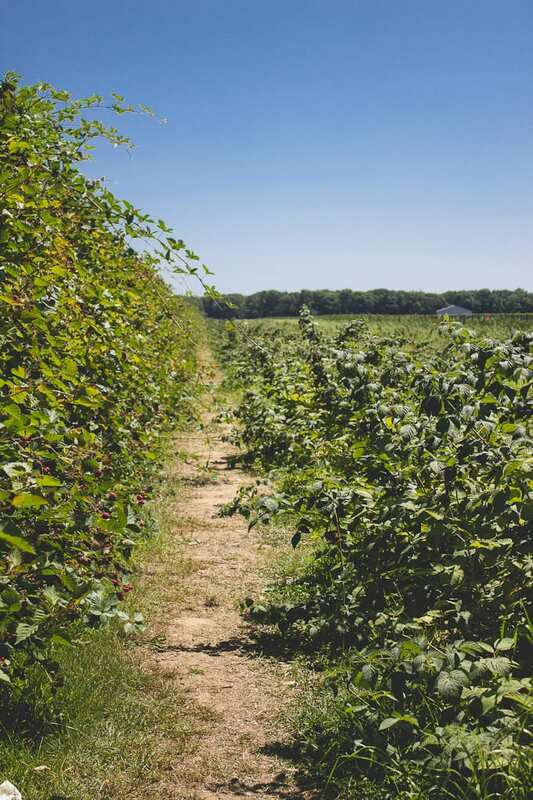 We recently visited Long Island’s North Fork, something we do every summer to pick berries at our favorite farm. 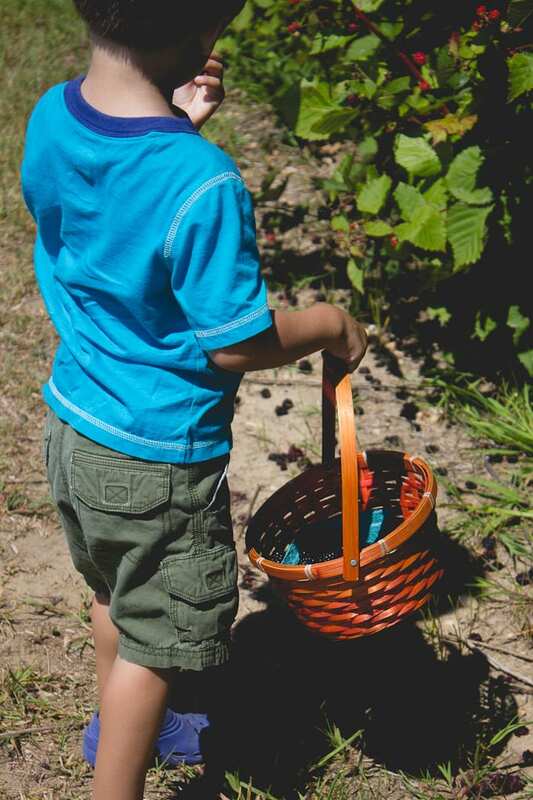 I’ve previously mentioned that my kids are master berry pickers and this year proved to be no exception. It was cute to watch Dillon teach his younger brother the art of foraging. You can only pick the black ones, not the red ones… he would scream (kids have no volume control). But Jake listened without protest. 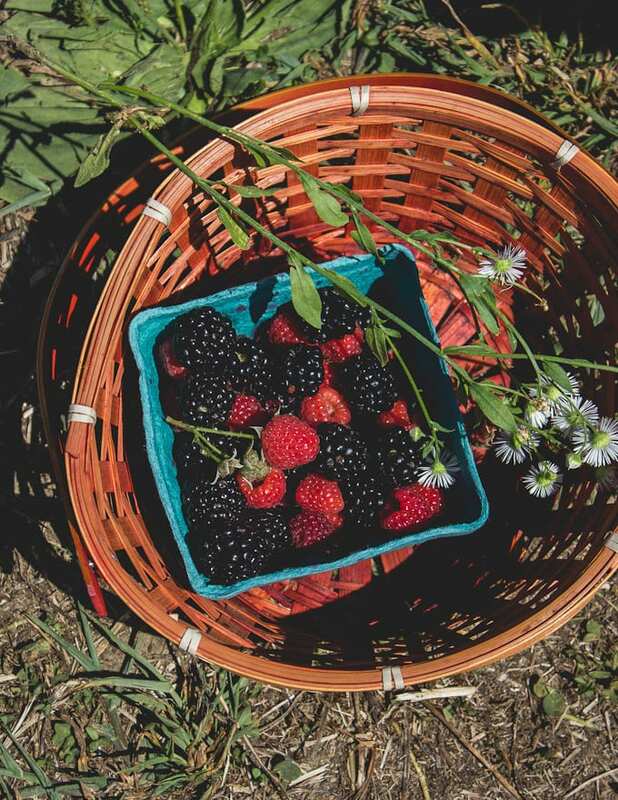 Before I knew it, we had oodles of berries spilling out of our woven baskets. My mind was brimming with recipes. 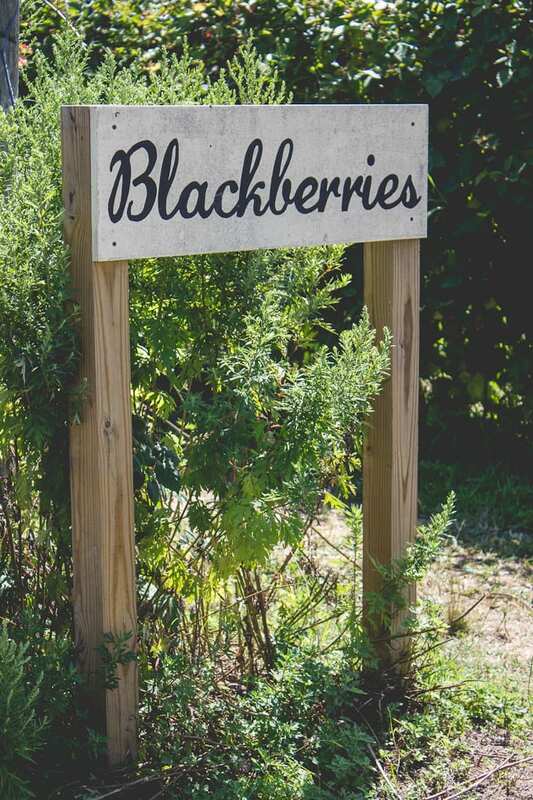 These blackberries were so precious, I didn’t want to cook them. I made a smoothie with plump berries, frozen banana, and thinly sliced ginger. Dollops of Greek yogurt were added for creaminess. I’ve been into ginger lately and discovered that it is a wonderful addition to smoothies. It really gives you that boost! I also incorporated my secret smoothie weapon; apple cider. It changes the whole flavor profile giving it a deep, floral like quality. Pear cider would be good too, but I think I’m pushing it with that one. As much as I love blackberries, they have a crazy amount of seeds! Have you ever noticed that? My Vitamix couldn’t even blast them all. If you purée the berries first, and then strain the juice your smoothie will be velvety smooth. It will catch any straggly bits of ginger as well. When it doubt, just use blueberries. The end of August is always a bittersweet time of year for me, because the seasons are changing and you can’t escape it. I want to hang on as long as I can, linger in the warm sun, and just chill. Dillon is starting kindergarten next month and that sentimental motherhood thing is kicking in big time. Where does the time go?! I’m a puddle. I couldn’t ask for a better way to spend our last days together, even if that means a trail of blackberry stains all over the house. 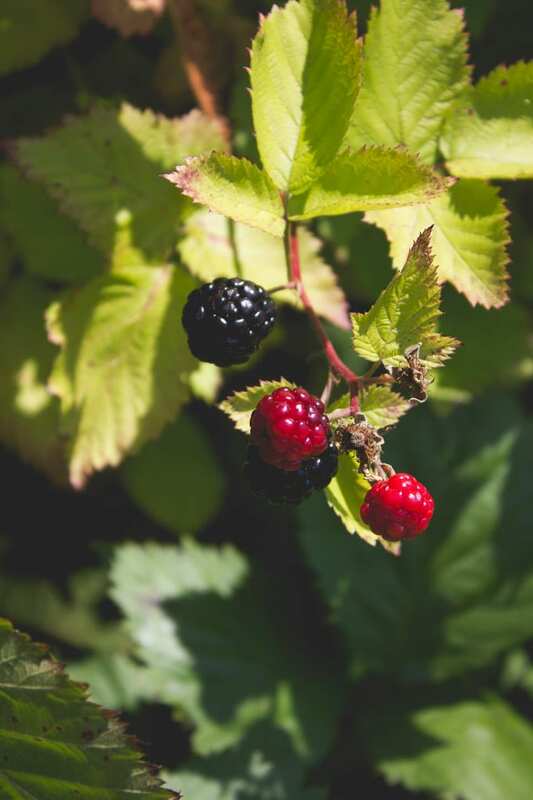 Now is the time to freeze some berries! Place them onto a parchment lined baking sheet in one single layer. Freeze until solid. Transfer to containers or Ziploc bags until ready to use. If you have any smoothie leftover, freeze the liquid as per this recipe. They make great treats. 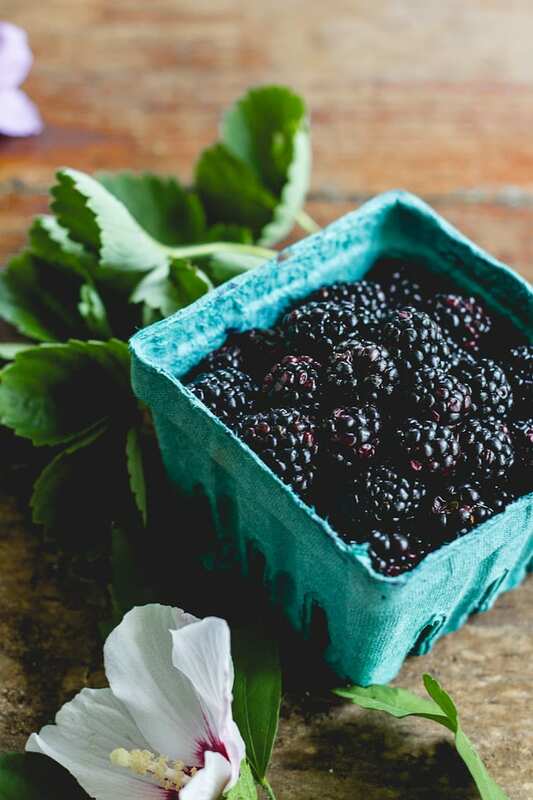 In a blender, puree the blackberries and ginger together until pulverized (add a splash of juice if necessary to get it going). Strain the juice. Quickly rinse out the blender to remove any remaining seeds and pour the juice back in. Add the banana, yogurt, and apple cider. 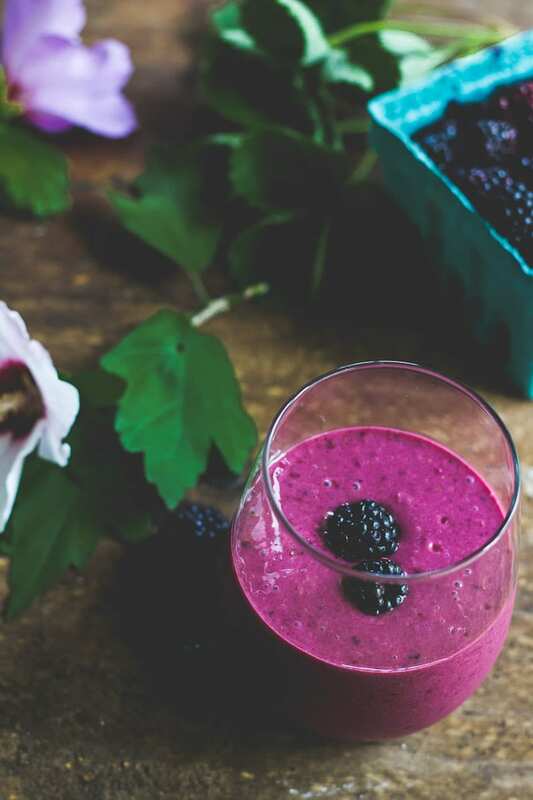 What a gorgeous smoothie, the blackberries give it the best color! 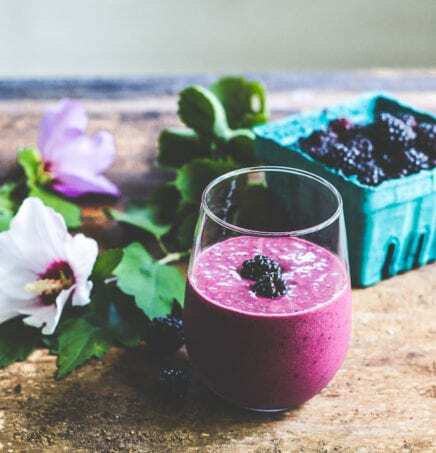 I can’t wait to try this beautiful smoothie! I came across it in HuffPost’s “The Healthy Recipes You Need to Get Back on Track” – congrats on the coverage! As a native Eastern Long Islander myself, I have so many fond memories of fruit (and pumpkin) picking on the north fork. Now, my family is a bit obsessed with the NFT Food Truck – their seasonal summer vegetarian sandwiches are SO divine. At any rate, I’m going to share your page with Sophia Ruan Gushee, an expert at reducing toxic exposures, who is also a Long Islander (south forker). Your healthy and natural focus reminds me of her (her website is NontoxicLiving.tips). Wishing you a great week! The apple cider in the recipe is non-alcoholic. It’s 100% fresh pressed apple (cider) juice. It’s full of flavor and not watered down like typical apple juice. Hope this helps! Thanks for sharing, this look really good I cant wait to try it.